Stephens Automotive is a full-service automotive shop that is dedicated to quality service and giving you an honest brake repair. Having the ability to stop on the road when you need to is vital, so allow our team to help keep you safe by taking care of all your brakes maintenance including brake pads. We don’t take any brake job lightly, at Stephens Automotive we value our customers in Chicagoland and Palatine and they put their trust in us. You can be sure that we will take care of your car brakes. Stephens Automotive will provide a quick and thorough brake repair. We only use quality brakes and brake pads for our repairs. The village of Palatine lies northwest of Chicago, Illinois with a population of 65,479. Palatine is rich in history and was founded in 1866 and was built around the railway system that ran through the community. If you need your car to have a brake job done contact Stephens Automotive and we will get you in for a car brakes appointment. Stephens Automotive is ready to take care of all your needs when it comes to your brakes. Experienced technicians perform every brake repair. Each brake job is done with the best part even when it comes to brake pads, and we assure quality is our priority. 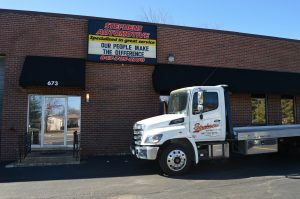 If you would like to join the many satisfied customers who rely on Stephens Automotive, then call (847) 705-8770 to set up a time to get your car brakes fixed.